We are pleased to present a brand-new series of refined color studies by Ricardo Mazal, one of Mexico’s most prominent contemporary artists. 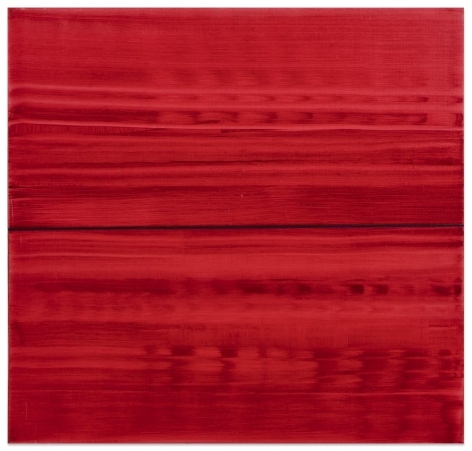 These highly distilled, abstract canvases build on the artist's earlier explorations of spiritual themes. 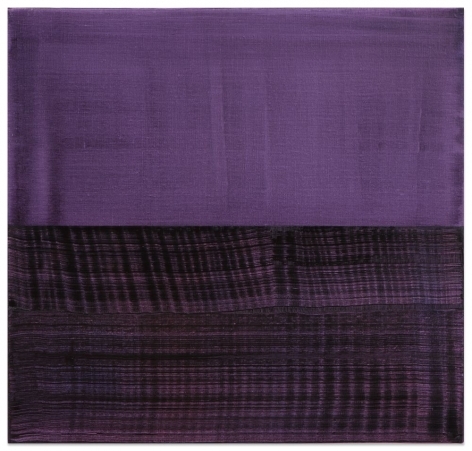 Titled Violet, the series comprises oil-on-linen paintings that vary in size from 23 x 24 inches to 83 x 128 inches. 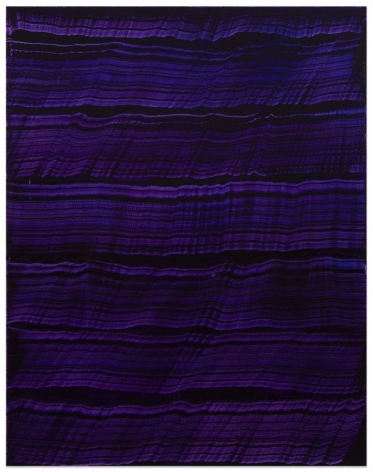 The large-scale works envelope the viewer in lush, vibrant color, while the smaller works require a different vantage point, inviting the viewer to lean in as if inspecting the facets of a jewel. 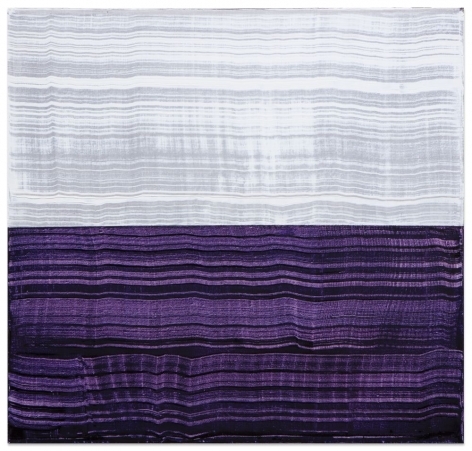 Mazal explores a broad spectrum of color within the violet family, from stark, lavender-tinted white to crimson, aubergine and the deepest purple-black. 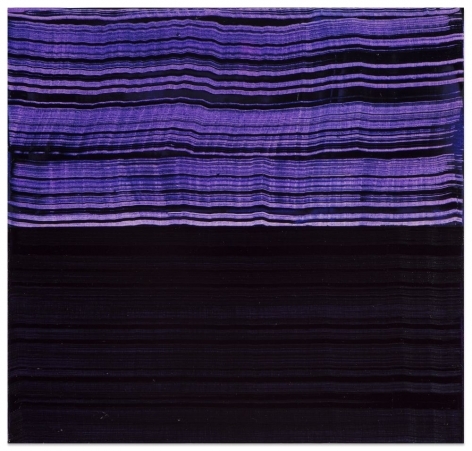 He bisects some of the canvases into opposing color planes, which adds an element of tension. In a departure from his previous studies, which were drawn from his extensive travels, Mazal began this series in his Santa Fe studio while working on a painting where the subject matter was set against a midnight-blue background. Looking to enliven the canvas, Mazal added a single, vivid streak of violet and was immediately struck by how the color electrified the composition. 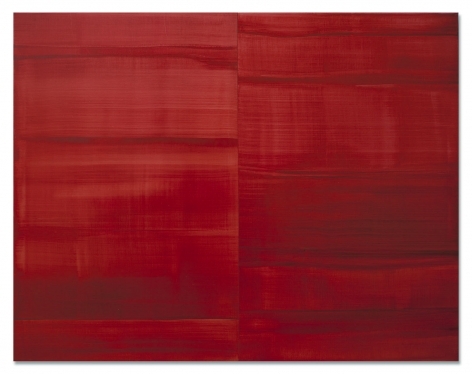 What began as an endeavor to recapture the original tone and texture of this random swath of color ended up becoming a detailed investigation that resonated with the artist in unexpected ways. Traditionally, photography has been the starting point of Mazal’s process. 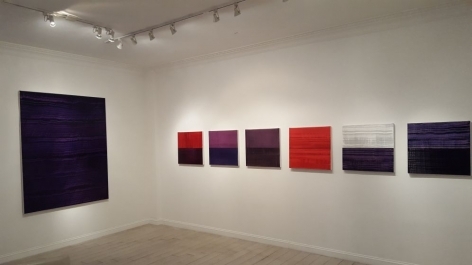 He generally uses his own photographs from his travels, which are often spiritual pilgrimages, which he digitally manipulates to compose a sketch of what he intends to paint. But in this case, music was his muse—specifically Symphony No. 4, Los Angeles by Estonian composer Arvo Pärt. Mazal was grappling with grief surrounding the long-term illness of a family member and the music both inspired and centered him while he painted. Color became a spiritual outlet with music as the conduit. Beyond color, texture plays a central role in this series. In a shift from earlier works, Mazal has refined his distinctive gestural style. His hand is still visible, but it is much more controlled. Mazal carved grooves into the tips of dry paintbrushes, which he then pulled through thick layers of oil paint to achieve the desired effect. 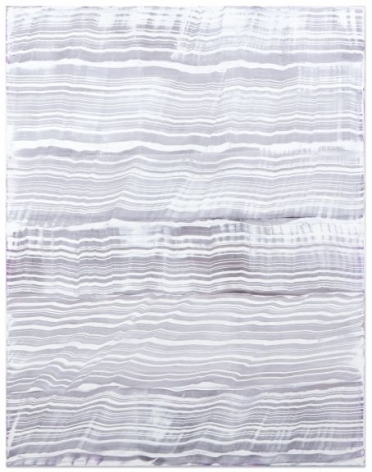 The resulting linear trails recall the crystalline layers of Tent Rocks, sedimentary formations that populate the national parks of Santa Fe where Mazal often hikes with his family. They also create small chasms of varied color that invite the viewer to examine the work more closely in an effort to discover their depths. Mazal’s previous studies include a large body of multidisciplinary work inspired by investigations into sacred burial rituals. 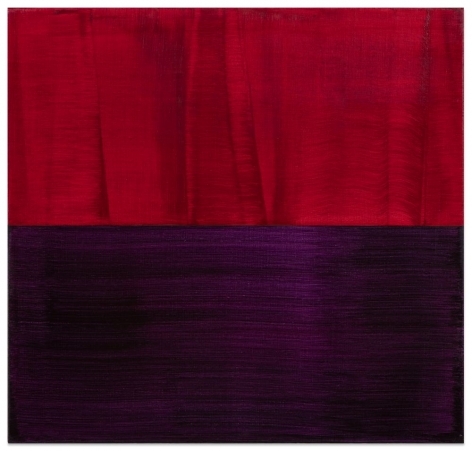 His next series was inspired by the colorful, billowing prayer flags of Bhutan. With each investigation, Mazal honed his vision, reducing and distilling his concepts to their simplest form. 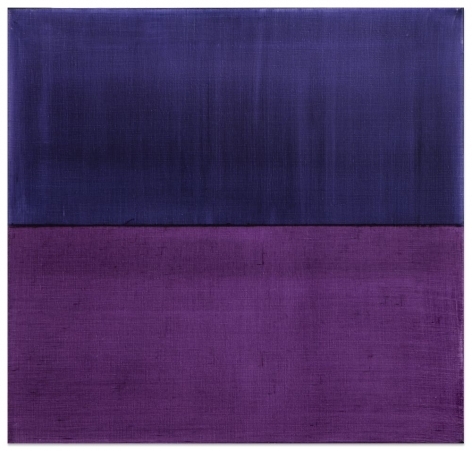 The Violet series amplifies this process of reduction, focusing on a singular subject in what is his most refined—and personal—body of work to date. 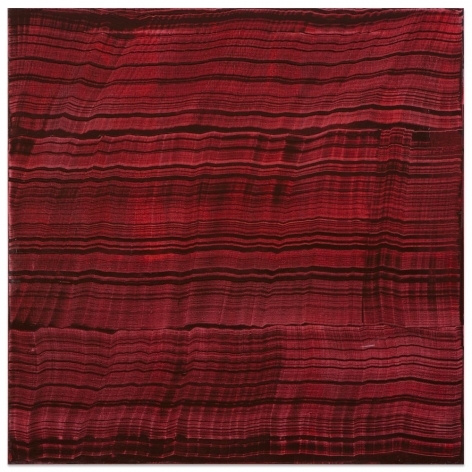 Mazal’s work is included in the permanent collections of the Scottsdale Museum of Contemporary Art, Arizona; Museo de Arte Moderno, Mexico City; Museo de Arte Abstracto Manuel Felguérez, Zacatecas, Mexico; Maeght Foundation, Paris; Centro de las Artes, Monterrey, Mexico; Cirque du Soleil, Montreal; the Peninsula Hotel, Shanghai; and Deutsche Bank, New York and Germany. Ricardo Mazal divides his time between Santa Fe and New York City. 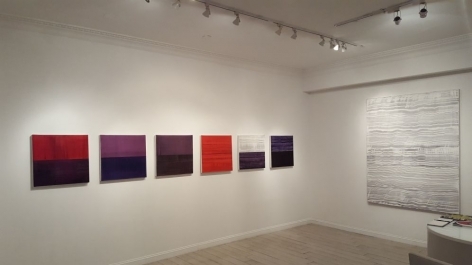 For more information about this exhibition, call 212-677-4520.